Pliosaurs were a group of extinct marine reptiles. Their fossils are found in Jurassic and Cretaceous period rocks, and they are believed to have evolved during the earlier Triassic period. Pliosaurs, although not themselves dinosaurs, seem to have gone extinct at the same time as the dinosaurs, during the Cretaceous-Tertiary mass extinction. 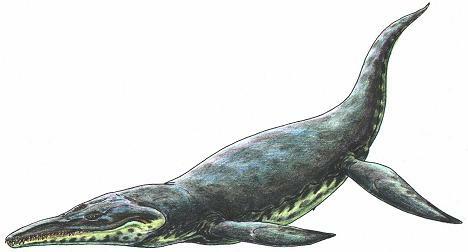 Early Pliosaurs are generally similar to Plesiosaurs in appearance, and are believed to have evolved from Plesiosaurs. It is not however entirely clear whether all Pliosaurs evolved from a common ancestor, or whether different species of Pliosaurs independently evolved similar adaptations. Pliosaurs can be recognized by their short neck (in contrast to the longer neck of Plesiosaurs), and their four paddle-like limbs. Their heads were elongated and filled with conical teeth - suggesting they were carnivores. 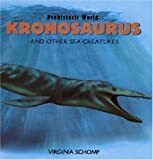 Pliosaurs are believed to have eaten fish, Ichthyosaurs, Plesiosaurs, and other Pliosaurs. Pliosaurs ranged between 13 feet (4 meters) and 50 feet (15 meters) in length - and the skulls of the largest animals were 10 feet (3 meters) in length. Fossils of Pliosaurs have been found around the world including in England, Norway, the United States, Mexico, South America, and Australia. Archeologist John Paxton has always been eluded by the great find. But his luck is about to change on a mysterious island near South Africa. An island that holds the deadly secret behind the ancient ship's disappearance. But the riddle of the ship is soon eclipsed by what John uncovers next. He encounters a lost civilization with a plan straight from hell. Within the caverns beneath the island, the tribe worships and nurtures a prehistoric marine reptile that could engulf T. rex. The size of a sperm whale, and equipped with ten-foot jaws bristling with eighteen-inch teeth, this pliosaur is the last remaining member of the greatest predator species that ever lived. Only then does John realize the islanders' true agenda―to unleash the leviathan on the modern world to fulfill their bloodlust for revenge. KRONOS RISING: KRAKEN (volume 1 of 3): The battle for Earth's oceans has just begun. In spite of ongoing attempts to destroy them, the prehistoric predators that rose from the ashes of Diablo Caldera continue to multiply. They are bringers of death, and via more than just their deadly jaws. 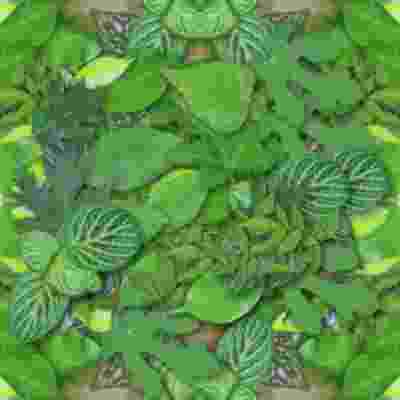 Their blood contains a primeval pathogen so virulent that, left unchecked, could spell the end of mammalian life. KRONOS RISING - DIABLO: Something's escaped from Hell . . . and it's hungry. Steve refused to surrender. Even though he knew the creature was right behind him, he wouldn't quit. He would make it. Just as that beacon of hope began to shine down upon him, the bright sun overhead vanished from view. Confused, he gazed wide-eyed as the daylight grew dim. Then he realized the ultimate horror: the creature had overtaken him, its jaws opened wide. Soon Jake finds himself drawn into an ancient mystery - a mystery that ends with him adrift at sea, battling for survival against the deadliest predator the world has ever seen. It is a creature whose ancestors ruled the prehistoric seas. Now freed after eons of imprisonment, it has risen to reclaim the oceans of the world as its own. KRONOS RISING: PLAGUE: If you thought dry land was safe, think again. KRONOS RISING: PLAGUE: AUTHORSdb 2017 Gold Medal Winner! The ocean is filled with giant, strange, and scary creatures such as whales, octopuses, and sharks―but the prehistoric megalodon was powerful enough to crush a killer whale. Other sea beasts of the past could hold their own against even the most mysterious of modern sea creatures. Sea scorpions had claws the size of tennis rackets. Tanystropheus used its long neck to catch fish from land. And Leedsichthys had as many as 40,000 teeth! What would happen if these extinct beasts came to life? Imagine prehistoric sea beasts chasing dolphins, fighting crocodiles, and hunting humpback whales―and learn all about the prehistoric creatures of the deep! Responding to a distress signal, fishing-boat captain Brian Hawkins arrives in time to save the ship’s last survivor. But the nightmare is just beginning. A casino cruise ship carrying high-stakes passengers—and a top-secret cargo—becomes the creature’s bloodsoaked hunting ground. Desperate but determined, Hawkins goes after the biggest catch of the century.